He was Deputy Director of the Institute for US and Canadian Studies. Founder and first president of the Moscow Public Science Foundation. Taught Russian foreign policy at the University of Miami (USA), and at the Lewis & Clark College in Portland (University of California). He was elected Director General of the Russian International Affairs Council, non-profit partnership established by order of the President of the Russian Federation (2011). Academic focus: international relations, foreign and domestic policy of Russia and Russian-American relations. Author of over 120 publications dedicated to the analysis of Soviet/Russian-American relations, global security, and the foreign and domestic policy of the USSR and Russia. What happened in New Zealand last Friday lacks the sort of intrigue that would otherwise promise the continuation of the drama. Behind the mass shooting, there is no ominous global terrorist network like in James Bond films. There is no insidious plan like those to be found in Dan Brown’s novels. Some think Vladimir Putin and Donald Trump have no reason whatsoever to meet either in Paris, or in Buenos Aires, let alone Washington. All previous eye-to-eye contacts between the two leaders in Hamburg, Danang and Helsinki have changed little in the relations between Russia and the United States, and even if they did, they clearly didn’t improve them. ﻿The meeting of the Russian and American presidents in Helsinki became a hit of the summer political season, overshadowing even the recent US-North Korean summit. The first full-fledged round of bilateral talks between Vladimir Putin and Donald Trump evoked a wide variety of emotions - from bright hopes for restoring the strategic weapons control mechanisms to the panic fears about the future of transatlantic relations. The Time for a Putin-Trump Summit Has Come. What Makes This Summer Special? During the visit of US National Security Advisor John Bolton to Moscow this week, an agreement was reached to hold a summit meeting of the two countries’ leaders in Helsinki on July 16. The Russian side has repeatedly said that it was ready to hold such a meeting at any time, convenient for the United States. 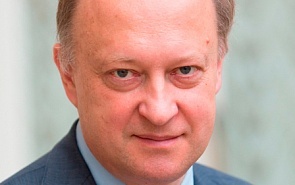 Andrei Kortunov, Director General of the Russian International Affairs Council, explains why the summit was scheduled precisely for this time. ﻿Tensions in Syria continued to escalate throughout 2019. Hostilities were stepped up again throughout the country and the conflict’s total toll approached a million. A new wave of Syrian refugees swept through Turkey and flooded Europe. Russia blocked US and British resolutions on enforcing peace on Damascus in the UN Security Council nine times.